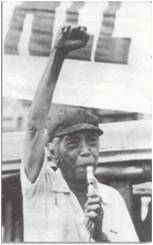 I reported about Armando Malay’s “Veneration with Understanding” for my Rizal class (PI 100) in UP Diliman two years ago. 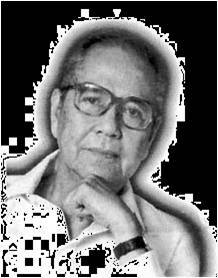 Renato Constantino’s 1969 was a controversial piece, and the arguments he put forward may sound convincing – until you read this point-by-point rebuttal by the eminent late Filipino journalist-freedom activist. Below are the most essential points of Malay’s article. You can also download my Veneration With Understanding PowerPoint file . Malay: “The field from which a national hero would spring is not limited to the field of revolution." Constantino: "Reflecting the interests of the ilustrado class, Rizal drew the principal characters of his two novels from that class." 25. VENERATION OF RIZAL WAS A FACT EVEN BEFORE HIS EXECUTION. To say now that Rizal was a creation of the Americans because they did want Filipinos to choose Bonifacio as their national hero is to fly in the face of facts. Worse, it is to insult the masses who, if they are to believe the detractors of Rizal, have allowed themselves TO BE DUPED FOR SO LONG. This entry was posted on Monday, June 20th, 2011 at 9:55 am	and tagged with armando malay, education, history, jose rizal, philippines, renato constantino, up diliman and posted in education, history, journalism, philippines. You can follow any responses to this entry through the RSS 2.0 feed. 😀 Former LGU Secretary Jesse Robredo has been considered as one of our greatest Filipino heroes in modern times. He is a man who is more on action than talk, he gets more results than others even though performing his tasks almost behind the scenes of government. No wonder, he is more recognized upon death. Robredo extolled for ‘tsinelas’ leadership – transcending the limitations of convention for the good of others.